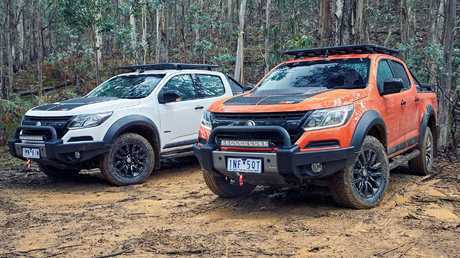 Holden has given the Colorado the tough truck treatment, but does it go far enough? Picture: Supplied. It doesn't quite live up to the hype from the 2016 Bangkok motor show concept ute that inspired its design. 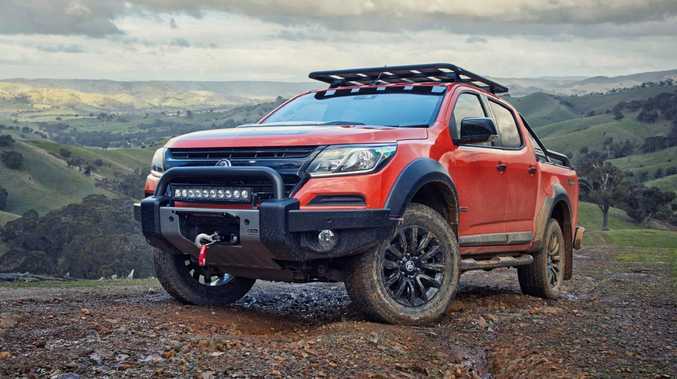 And unlike the "super-utes" such as the Ford Ranger Raptor and Holden Special Vehicles SportsCat, the Colorado Xtreme has basic suspension, brakes and tyres. Instead it's loaded with almost every available accessory Holden can throw at it. It has mildly uprated front springs to cope with the extra weight over the nose, but they're not the desert racer-style offerings of the Ford and HSV flagships. And this is what they delivered: the Colorado Z71 Xtreme. Picture: Supplied. 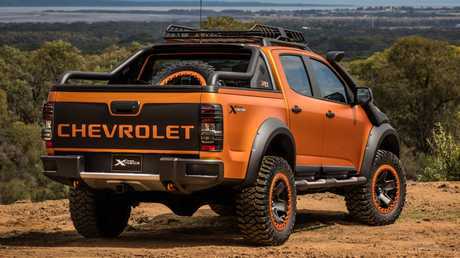 Holden says it has added $19,000 worth of equipment to the vehicle, which brings it to a drive-away price of $69,990 - about $10,000 less than the Ford Ranger Raptor and HSV SportsCat, on par with the Toyota HiLux Rugged X, and about $20,000 more than a Holden Colorado LTZ. 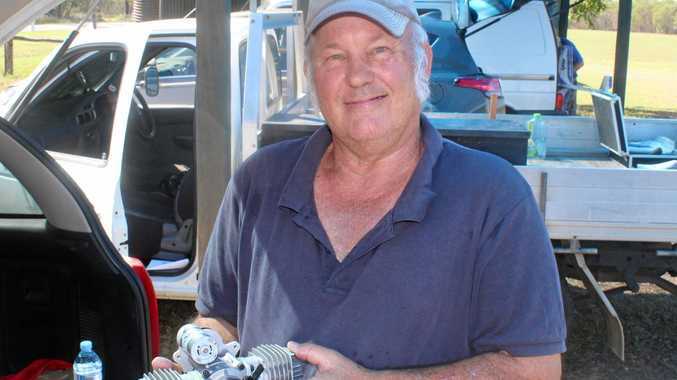 "The top end of (the ute) market continues to develop, and we're seeing a growing number of customers demanding greater off-road capability," said Holden product marketing manager, Andre Scott. 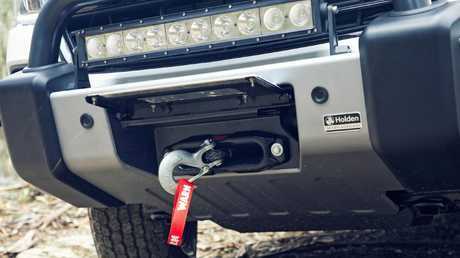 The nudge bar has a flap that hides the winch. Picture: Supplied. Available with six-speed automatic transmission only, it gets the 147kW/500Nm version of the Colorado's 2.8-litre turbo diesel, not the detuned 147kW/440Nm version paired to the manual. The Xtreme also maintains the Colorado's 3500kg towing capacity, although payload is dented slightly by the weight of the accessories. 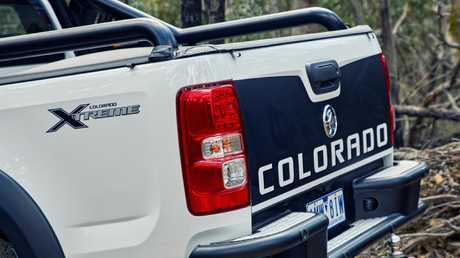 Holden Colorado Z71 Xtreme edition gets special stickers and heavy duty bars. Picture: Supplied. The concept version was more extreme than the showroom edition. Picture: Supplied.